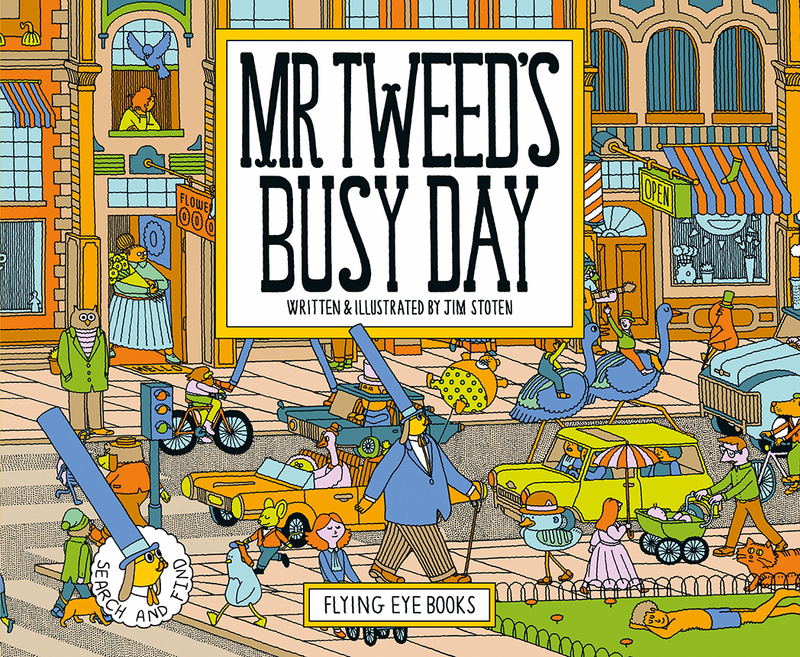 Mr Tweed’s Busy Day is a terrific and entertaining search and find book. I’m partial to them as they entertain kids while they learn. Similar to Where’s Wally but highly individual, it is also a counting book, with shapes and opposites to challenge young minds, and in which animals are the characters. Mr Tweed in his super tall, blue hat sets off on his morning walk. His walk becomes an exciting adventure as he keeps meeting residents of the town in some sort of need. First he comes across Little Colin Rocodile who is upset because he has lost his 1 kite in the parkland. Poor distressed Mrs Fluffycuddle’s 2 kittens are lost in the garden. Panic reigns in the library because Mr McMeow has lost 3 mice. Can Mr Tweed help? Professor Ribbet is at the swimming pool when Mr Tweed passes. His 4 goldfish have fallen into the water, and Big Bear Bob lost 5 arrows while practising with his bow in the forest. Mr Tweed is kept busy helping people. Herman Chimps searches for his box of 6 pineapples at the market packed with stalls and people. He appeals to Mr Teed for help to find them. Little Penny Paws is crying. Her 7 flowers have been carried away by the wind into the river. This is as bad as Billy Webber’s 8 socks being blown from the clothes line into the town. Unfortunately, Pingle Penguin’s 9 balloons have also escaped into the air above the fair crowds. Mr Tweed never says no to anyone that asks for help. Pete Weasel catches Mr Tweed as he turns towards home. 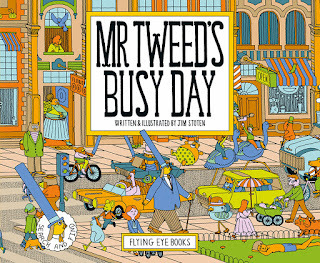 Is there a special way the town can thank Mr Tweed for his kindness? What will 10 be? Full-page illustrations on double spreads depict the scenes in intricate and detailed cinematic images. The decorated pages appear like beautifully blended bouquets of colour. The challenge for children (and adults) is to observe, search and identify everything on the pages, until the missing object/s is found. Themes of community, kindness and appreciation create a warm and friendly atmosphere throughout the book. I loved it, so this one is for the shelf!